Today, as we celebrate the sacrament of baptism we welcome the Mendres family — Michael, Jessica, Landon and Grayson. Jessica first started attending Westminster in 2011, when she saw a sermon title on the church sign and was intrigued. Jessica and Michael were married at Westminster in 2015, and big brother Landon was also baptized in 2015. Michael is a firefighter/paramedic, and Jessica is an Occupational Therapist (currently on Mat leave). Congratulations and welcome Grayson! Belated birthday wishes to Roy Halstead! He celebrated last week with family and friends. Happy Birthday, Roy! Farewell Teri … on June 19 the church staff held their last official lunch meeting of the summer and wished Teri-Lyn Skakum, our Child and Family coordinator, a fond farewell. We’ve loved working with you Teri. Your enthusiasm and joy are inspiring. 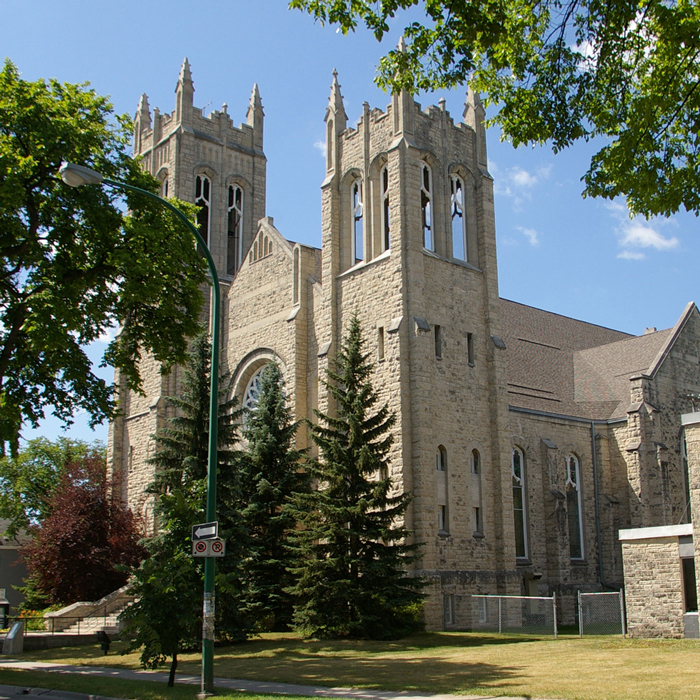 This week in the Winnipeg Presbytery prayer cycle we remember the congregation and staff of Young United Church. The summer edition of These Days devotional books are now available on the narthex and hall tables. There are also a small number of large print copies available. To place a copy on hold, please call the office. While we celebrated the 125th Anniversary of Westminster United Church last year, a special behind-the-scenes project was in the works. You may have read some of Roy Halstead’s writings over the years (some of which appear on the Church’s web site), documenting the stories of the history and the people of Westminster. He has now expanded on these stories and collected them into the form of a new online book, aptly titled, Stories of Westminster United Church & its People. Approaching 250 pages, the book is a breezy interactive history of the founders, movers, shakers, and everyone else, of one of Winnipeg’s major churches. The book includes numerous photographs, videos, recorded sermons from yesteryear, and newly-recorded works. Members of the congregation are invited to take a sneak peek at the book, and to offer feedback, corrections and omissions ahead of the planned official and more public launch of the book later in the fall of this year. Take a stroll down memory lane and find out how we got where we are today at stories.westminsterchurch.org. • Holidays: July 2 to Aug.6/18 inclusive (back on Tuesday August 7). Thanks to Rev. Don McIntyre for providing the services of worship and emergency pastoral care while Sherri is away. Thinking about your summer reading list? Why not get a jump start on your reading, and do some spiritual exploring at the same time? Happy summer reading! Last week, after church, we celebrated with Maggie on the completion of her 365 day quilt. It represents her journey with cancer over the last year. Congratulations Maggie!